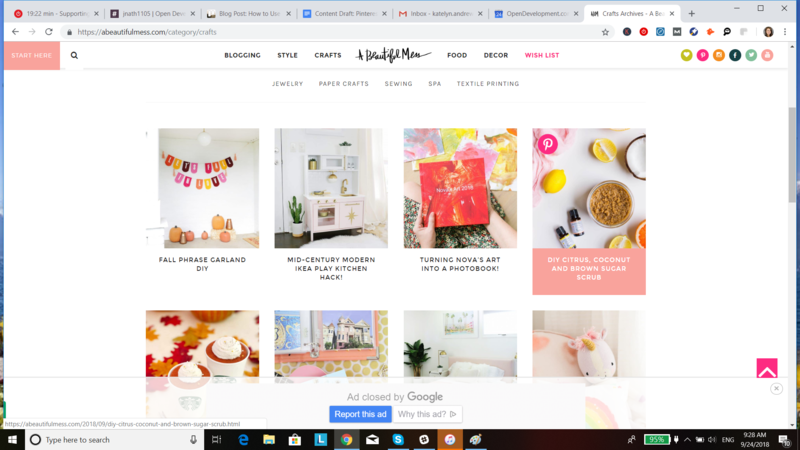 A few years ago, many people thought of Pinterest as a place where you would go to find cute DIY projects, creative recipes, and fashion tips shared amongst friends. Of all the social media channels, poor Pinterest was the most underestimated as a powerful marketing tool. The truth is many businesses weren’t fully utilizing Pinterest because they simply didn’t know how. Today, 2 million people are pinning on a daily basis. Many of those pins are coming from brands, bloggers, and entrepreneurs who are taking advantage of the fact that Pinterest is chock full of potential fans and loyal followers. Using Pinterest for business is definitely a powerful marketing strategy if done properly. If you are considering incorporating it into your marketing arsenal, here are some how to use Pinterest for business tips and tricks. If you’re new to Pinterest, we will quickly break down the basics so that you have a clear idea of how it works and differs from other social media platforms. Pins are what Pinterest is all about. A Pin is an image or video that someone decides to save or “repin” on Pinterest. Think of it as a wall collage, you see a beautiful photo in a magazine so you cut it out and pin it onto your collage. Pinterest is the digital form. Pinterest users are called Pinners. Boards are like separating the above-mentioned collage example into interests. You’re interested in both style and baking recipes but they don’t belong in the same board. You can create one board for “Style” and another for “Recipes”. You can save your pins to specific boards to keep everything organized. As a business, you can create different boards for people to follow. For example, a fashion retailer may have a “Fall Fashion” board and a “Spring Fashion” board. 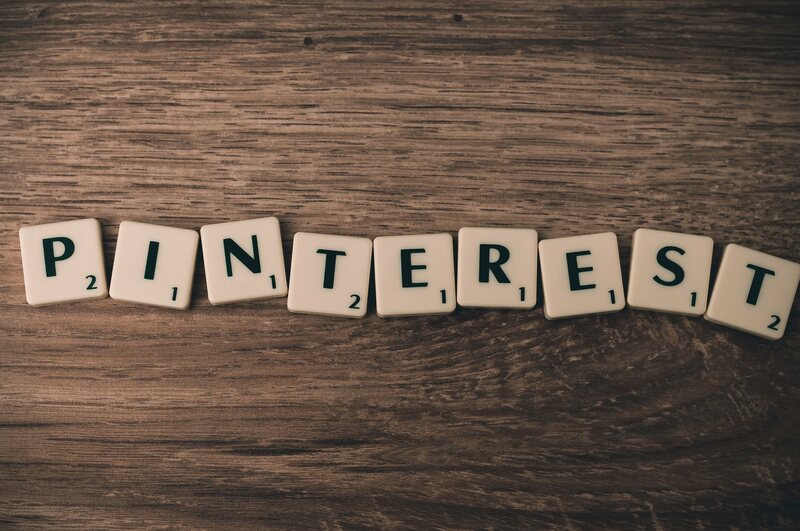 Similar to Facebook and Twitter, a Pinterest feed is an aggregation of suggested pins within an interest, boards, and content that a Pinner has chosen to follow. We recommend creating a Pinterest business account over a personal one so you can take advantage of features like advertising and analytics. To create a new account, you simply join Pinterest as a business and input your email address, password, business name, and website. You can also choose your business category. If you already have a personal account, you can easily convert it into a Pinterest business account as well. Pinterest isn’t just a social platform, it’s a search engine. 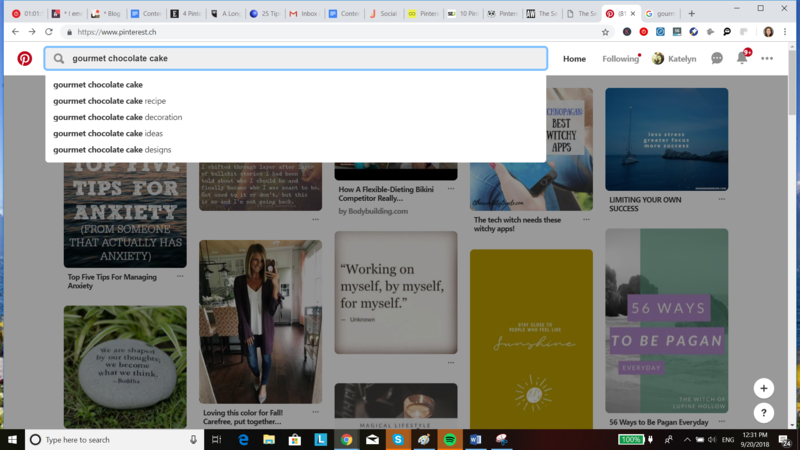 Have you ever Googled something, and in the search results, a pin from Pinterest showed up? That is because Pinterest rewards keywords as well as optimized content and profiles - and Google does too. This is an example of a Pinterest post with a page 1 Google ranking for “DIY fall wreaths”. Optimizing your Pinterest account and boards will not only boost your popularity on Pinterest but help you rank on Google as well. We cannot stress enough the importance of keywords. 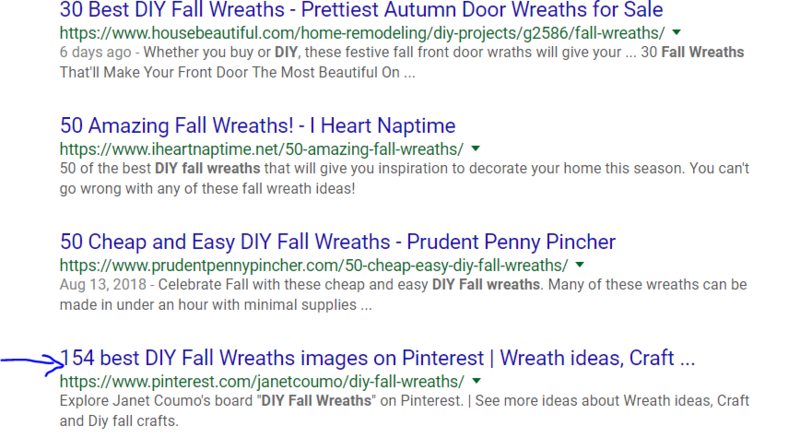 Instead of using the default boards like “Products I Love” or “My Style”, choose a keyword that you want to rank for both on Google and within Pinterest. We recommend a longer tail keyword where there is less competition. On Pinterest, you will want to find what people are searching for in relation to this keyword. Let’s say on Google you want to rank for “gourmet chocolate cake”, on Pinterest you find options to create boards for “gourmet chocolate cake recipes” or “gourmet chocolate cake decoration”. You choose the keyword most relevant and create the board. This keyword should not only be included in the name of your board but also your board and pin descriptions. All keywords that you want to rank for should also be included in your About profile. According to Hootsuite statistics, 97% of pins are unbranded. You spend a lot of time perfecting your boards, optimizing your content, and creating the perfect image to share - make sure people know where it’s coming from! Using high quality, sharp photos with your personalized branding helps you stand out from the crowd. Include your product name, logo, style, or brand colors in your images. Don’t be afraid to let people know who you are. Always, and we mean always, link back to your website. Pinterest drives traffic to your website, in fact about 5% of all website referral traffic comes from Pinterest. Unfortunately, Pinterest links are nofollow, which doesn’t cater much to Google’s love for inbound links, but traffic to your site certainly does. Pinterest For Business: When to Pin? Did you know that 45% of all women online use Pinterest compared to men at only 17%? Pinterest demographics skew mostly female. Just like with all social media, when it comes to pinning and when to pin, you should know your target audience and their habits. A good rule of thumb is to pin in the evenings around 11 pm. More specifically, according to Hubspot, Saturday evenings from 8pm-11pm and Friday afternoons around 3 pm. There is a lot of varying data out there about how often to post to Pinterest, but it seems there is a general consensus that it is less strict than other social channels. The team at Ahalogy, a Pinterest marketing platform, said they have seen the best results when pinning 15 - 30 times spread throughout the day. If you are producing quality content, and have the time, then why not share it as much as you like? Remember, not all of those pins needs to be yours. You can be repinning others’ pins as well. 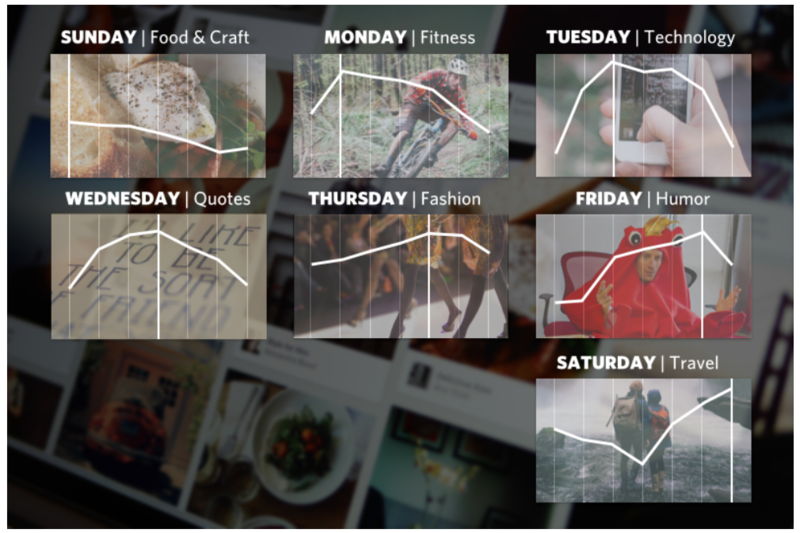 Also, Pinterest has reported that different categories perform better on certain days of the week. Here is a look at their infographic. 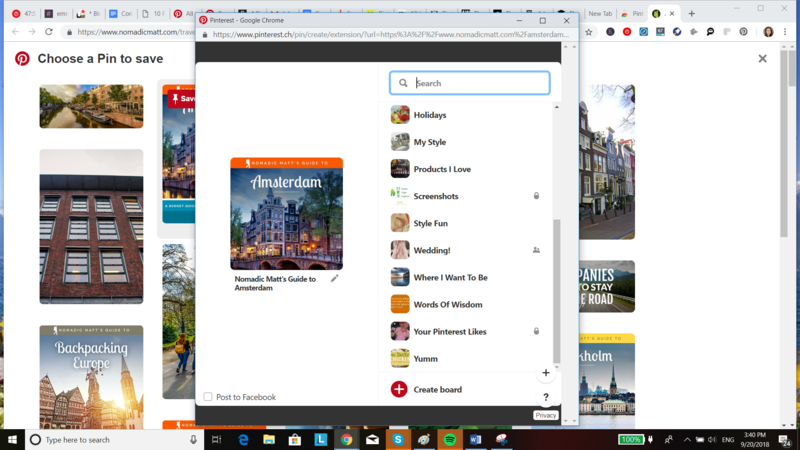 Pinterest has a browser extension that can be added to Chrome, Safari, Internet Explorer, and Firefox. Once you download the extension, you can start pinning whenever you see something interesting without going into Pinterest itself. As you browse the internet, if you come across an image or product that you want to share with your followers, you right click and it allows you to choose an image. Once you click on the image it brings you to your boards to which you can pin it. Not only will it pin the graphic but it will link back to the originating source. Coming up with fresh ideas every day can be a lot of work. Let’s say you wrote a blog post and wanted to take it a step further by turning it into an infographic or a video. Repurposing content is simply taking something you’ve already done and finding another creative outlet for it. For example, maybe you’re a travel blogger and have just written a fantastic “Guide to Visiting Paris” article. You can create a pin for your guide using enticing images and link it to your page’s URL. That way people can still read your blog post directly on your website, but also share your pin to spread the word. Rich pins are a fantastic way to give readers extra information and content about you and your brand right on the Pin. 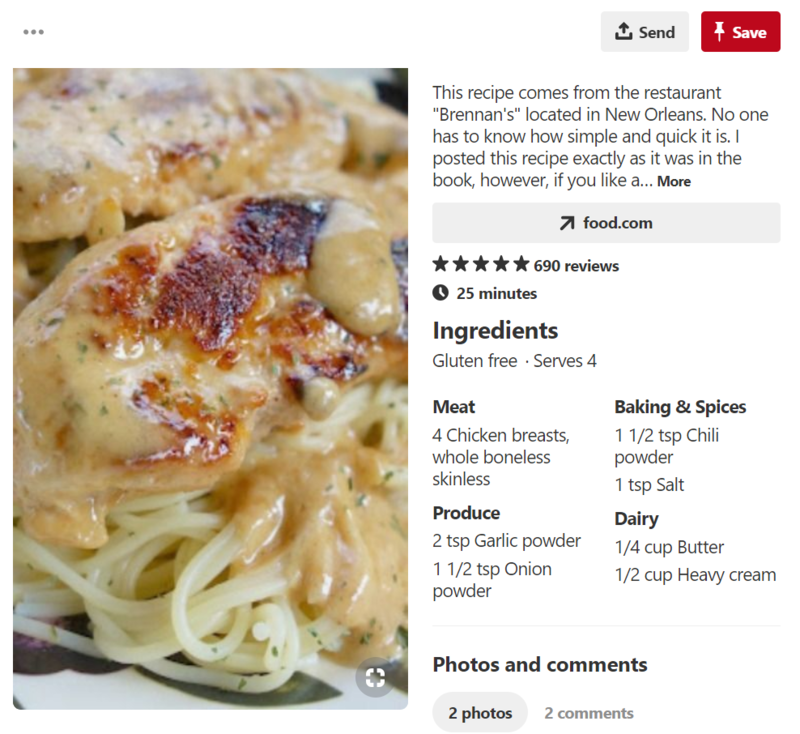 Pinterest provides 4 types of Rich Pins: app, recipe, article, and product. Product Pins give more information such as pricing, availability, and where to buy the product. Article pins show more than a quick description and an image, it shows the headline, author icon, and longer story description. This recipe gives you a great description, star ratings, cook time, and the ingredients. If someone were looking for a quick and popular recipe, this would probably motivate them to click through to the website. Rich pins help you get noticed and Pinterest gives them more importance as well. By using Rich Pins, you’re giving people more information which further incentivizes them to click through to your website. One of the biggest mistakes people make is creating boards to promote products instead of interests. Pinterest is a site based on interests, passions, and hobbies. Truly understanding your Buyer Personas and what your customers are interested in is what will get your images saved and repinned. Your luxury watch isn’t an interest, it’s a product. Style is an interest. Of course, you should incorporate your watches into your pins, but don’t let that be the only thing you pin. Pin style trends, fashion, other luxury products you see that fit in with your potential customers’ interests. As we mentioned above, Pinterest drives traffic to your website, but you also want to drive traffic to your Pinterest as well. Using Pinterest for business marketing on your site is important. No one wants to repin an obvious stock photo or a very low quality one, that means you need to get creative. Of course, your own, high-quality photos are a great option but so are infographics, charts, and illustrations. If you write a blog article about “DIY flea remedies”, you could turn that into a colorful demographic that is easy to share. Images on your website should include a Pin It button. A Pin It Button is a Pinterest marketing tool that makes it super easy for your readers to automatically Pin your images with just the click of a mouse. This website has a Pin It button for all of their DIY and recipe images. If you just hover over the image, the button appears as a call to action click. 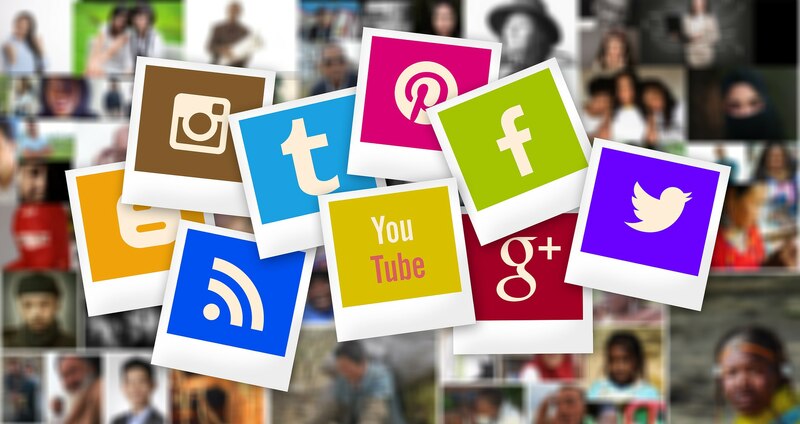 Another great way to feature all of your fantastic pins is to set up a social media feed on your website. Juicer’s social media feed aggregates all of your pins, posts, images, hashtags, and videos from your social media sources (Facebook, Twitter, Instagram, Pinterest, etc.) into one beautiful, clean feed you can embed on your website. As you pin and repin, Juicer’s social media aggregator will automatically display your pins on the feed in addition to your other social media chatter. This gives your website viewers an insight to your social side without ever having to leave your webpage. Juicer is completely free to sign up, set up, and use. Once you set up Juicer, you simply add Pinterest as a source and then your username. Juicer will automatically pull the pins and repins associated with your account. Additionally, you can add any board that you would like by clicking on the BOARD tab. You simply add the URL fragment of the board you want to feature. 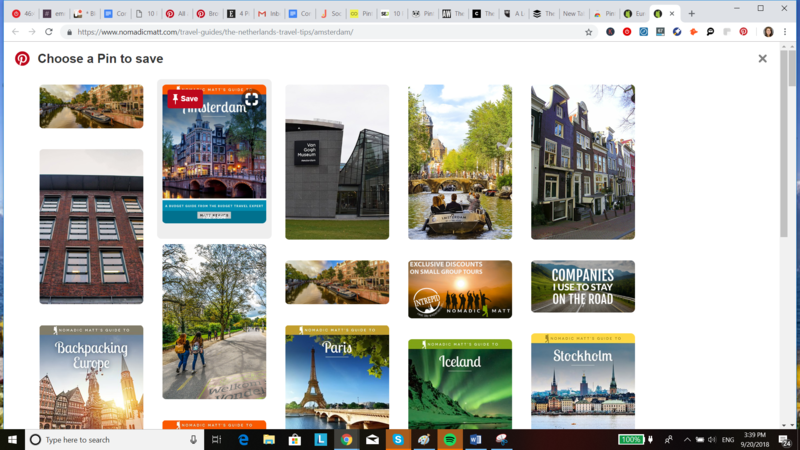 For example to feature this board: “https://www.pinterest.com/fooddaze/travel”, you would add “fooddaze/travel”. So maybe your Pinterest is lacking in followers, but you have a solid following on Facebook, Instagram, Twitter, or email subscribers. Take advantage of your other sources to cross-promote Pinterest. If they are already interested in what you have to say on Facebook, why wouldn’t they be interested in your Pinterest too? Just like with any social media channel we have to give people a reason to follow us on yet another platform. Facebook and Twitter tend to be a collection of all different types of information. You share your blog posts, updates, news stories, videos, etc. Often our social media feeds become diluted and give followers too much information which can lead to “unfollows” or “unlikes”. Instead of chasing them away completely, Pinterest allows us to provide hyper-targeted content to followers based on what they really care about. Pinterest allows people to limit what they see from you in specific boards. For example, we love Ralph Lauren but maybe we only want to see their eyewear, not the entire brand. We can simply just follow the Ralph Lauren Eyewear board and omit everything else we aren’t currently interested in. By following these tips for using Pinterest for business, you will be well on your way to maximizing Pinterest as a powerful tool for marketing your business. For more resources, Pinterest itself has an informational page on how to use Pinterest for business. Now you know how to use Pinterest for business marketing, so what are you waiting for? Get pinning!